The Sensory Connection Program is an occupational therapy based program using individual treatment, group treatment, sensory diets and sensory sensitive environments including sensory rooms. It is a person-centered, strength oriented, skill building model of care. Sensory strategies initially focus on essential underlying building blocks of self-awareness and self-acceptance. 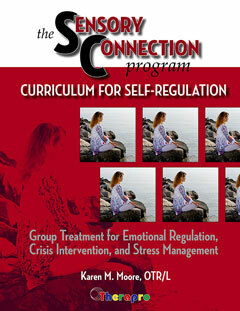 They then help a person move from self-awareness to self-regulation and on to self-care and eventually to self-healing.